Opinion: Was Sam Walsh’s first official game that good or did we get carried away because his was the opening game of the pre-season? It was a steamy Friday night in 2005 when first-year Richmond draftee Richard Tambling received the ball in forward of centre in a contest with Collingwood’s Scott Burns in the opening game of what was then the Wizard Cup. There were 33,000 fans at Telstra Dome, as it was then known, many of them success-starved Richmond supporters and they were dancing in the aisles after Tambling used his blistering speed to scoot past Burns and kick a long goal on the run. A back page picture in one of the next morning’s newspapers captured the moment superbly. Roughead was the key forward the Hawks had taken with the second pick at the previous November’s national draft, instead of Tambling who they were widely tipped to select. For one night at least, it appeared that the Hawks had erred and that Richmond coach Terry Wallace’s line that the Tigers had picked “the two best players” at the previous November’s draft (Brett Deledio was the other) was indeed true. This is what came to mind last Friday as the football world collectively lost its mind over Sam Walsh’s first official game for Carlton, the previous evening in the JLT opener against Essendon at Ikon Park. Mind you, with 28 disposals and eight inside 50s, last November’s No.1 national draft pick looked the goods. He backed up well from a slashing practice match effort against Hawthorn the week before. But on the basis of one game, his odds for the winning the Rising Star Award were halved. More than 16 hours after the game, the Herald Sun ran an online story headlined ‘Why Walsh could be destined for greatness’. Until the identity of Lawyer X was revealed later that afternoon, breaking the Internet in the process, it was the third item on the Herald Sun home page. That’s the sort of buzz that a great outing in the pre-season can bring. Clubs have been selling hope for months, but these two weeks can provide the affirmation. We can say with reasonable conviction that Walsh will become a very good player. With his slightly arched back and silky skills, there’s a touch of Trent Cotchin in how he plays. But Port’s Zak Butters also looked most accomplished in his first game at AFL level, as did Geelong’s Jordan Clark, Greater Western Sydney’s Jye Caldwell, and North’s Bailey Scott. Izak Rankine’s early goal for Gold Coast and some snippets from Nick Blakey in his first outing for the Swans also suggested that the hype around them was justified. But not all of them got to play like Walsh did, in the opening game of the JLT series in front of a healthy crowd at the ground and more than 100,000 people watching on TV. That's why he, like Tambling 15 years ago, is getting all the accolades perhaps before they are truly warranted. Some other takeaways from the weekend. The 6-6-6 rule led to some beautiful centre clearance work (hello, Patrick Cripps) because of the reduced congestion. And it was notable in some games, the wingmen held back from charging into the square at the bounce of the ball. Whether this remains the case as the regular season unfolds remains to be seen as you suspect clubs are still keeping their cards close to their chest with respect to tactics and strategy. 6-6-6 also meant some teething issues with some centre clearance infringements. After some, the field has to be entirely re-set. With others, the free kick can be taken immediately. 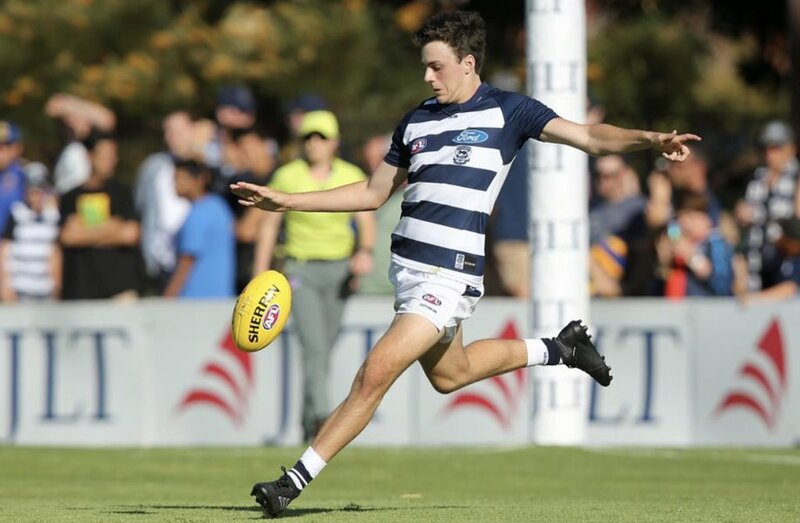 As Fox Footy demonstrated on the weekend in the West Coast-Geelong, game one example of the former led to a 56-second delay as the players resumed their positions. But the upside was that once play resumed and the Eagles kicked the ball swiftly deep into their forward 50, impressive second-year big man Oscar Allen took a lovely pack mark. So that’s a tick. As is what it means for positioning during tight finishes. Not sure the viewing audience for the Suns-Bulldogs hit-out late on Sunday night was all that large but those that watched saw a grandstand finish. The Suns weren’t able to stack the backline when they held a late lead and eventually fell behind after a Bailey Smith goal. With the Dogs then unable to get numbers behind the ball, Wil Powell quickly put the Suns back in front. Then finally, had Billy Gowers kicked straight from a set shot, the Dogs would likely have won the game because again, the Suns weren’t able to successfully defend some quick ball movement from the Dogs with only the regulation six defenders. Adelaide is tipped to rebound well this year and showed enough in the Port Pirie furnace to suggest this will be the case. The Crows look steely and they bat deep. Carlton kicked 100 points in a game and key Lions additions Lachie Neale, Lincoln McCarthy and Jarryd Lyons all looked sharp against purposely sub-par opposition. But the team for which a win clearly meant the most was St Kilda. The Saints even sang the song after a 25-point win over North Melbourne at Werribee. Coming off a difficult week in which the challenges facing the club were laid bare, it was good to see the sense of unity on display. A bit of ‘us against the world’ never hurt anybody, even in the first week of March.